Western countries accused Moscow on Monday of preventing inspectors from reaching the site of a suspected poison gas attack in Syria and said Russians or Syrians may have tampered with evidence on the ground. "It is our understanding the Russians may have visited the attack site," US Ambassador Kenneth Ward said at a meeting of the OPCW in The Hague on Monday. 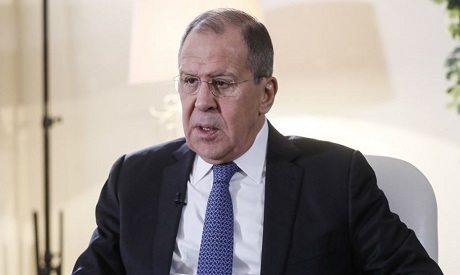 Russian Foreign Minister Sergei Lavrov denied that Moscow had interfered with any evidence: "I can guarantee that Russia has not tampered with the site," he told the BBC in an interview. Earlier, Britain's delegation to the OPCW accused Russia and the Syrian government of preventing the international watchdog's inspectors from reaching Douma. "Unfettered access is essential," the British delegation said in a statement. "Russia and Syria must cooperate." Moscow blamed the delay on the Western air strikes. Kremlin spokesman Dmitry Peskov said the British accusation that Russia was to blame for holding up the inspections was "groundless". "We called for an objective investigation. This was at the very beginning after this information [of the attack] appeared. Therefore allegations of this towards Russia are groundless," Peskov said. Syria agreed to give up its chemical weapons arsenal in 2013 and submit to OPCW inspections to avert US retaliation after a suspected nerve gas attack in Douma killed hundreds of people. The British envoy to the OPCW said the body had recorded 390 allegations of the use of banned chemicals in Syria since 2014, and that a failure by the OPCW to act risked allowing "further barbaric use of chemical weapons". US President Donald Trump has said the weekend air strikes accomplished their aim of undermining efforts by the Syrian government to produce and use chemical weapons.